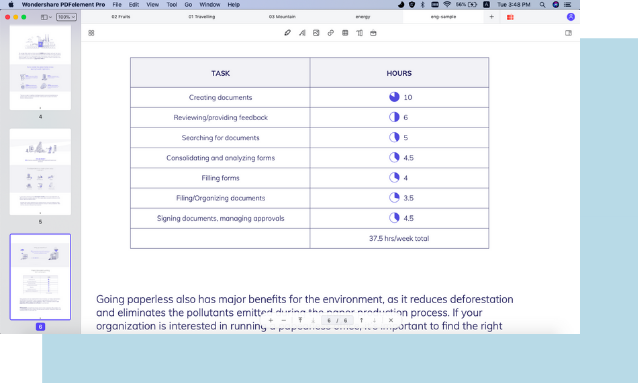 Download the free trial version of PDFelement for Mac today to edit, annotate and read PDFs, change images and texts, sign contracts, and fill forms effortlessly. 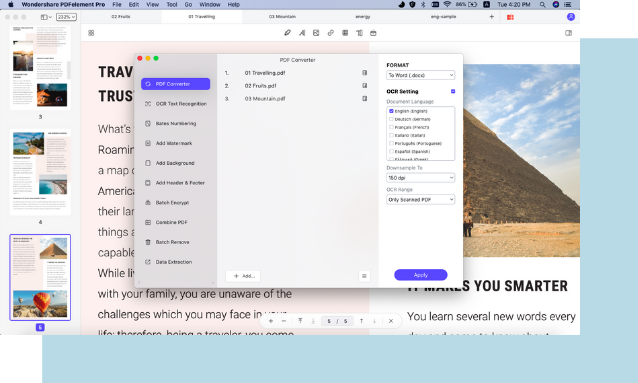 PDFelement for Mac provides the smoothest method for editing PDFs quickly and easily, including headers and footers, text, watermarks, pages, backgrounds, links and images. Easily edit single lines and paragraphs of text using intuitive modes to help modify text style, size and font type. Work better with graphics by cropping, removing, copying and pasting, replacing, adding, extracting or rotating images. Easily split, insert, replace, crop and even extract pages effortlessly. Also modify page boxes or add labels to your pages. 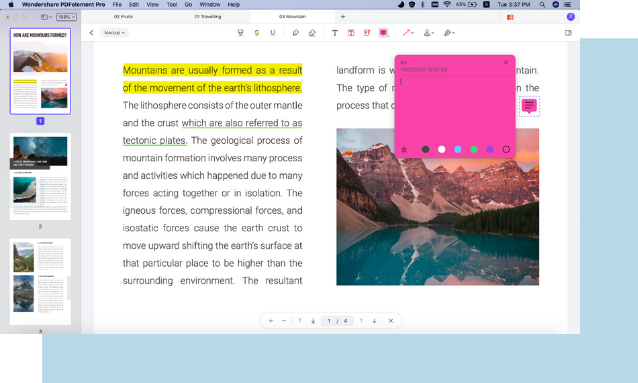 Collaborate on ideas by annotating PDFs or adding comments, sticky notes, customized drawing tools, text boxes, stamps, and more. Convert your PDFs to and from other file formats. Use diverse interactive form controls to create PDF fillable forms. Also fill out tax forms, business forms, and more quickly and easily. Create scanned and image-based PDFs with OCR (Optical Character Recognition). 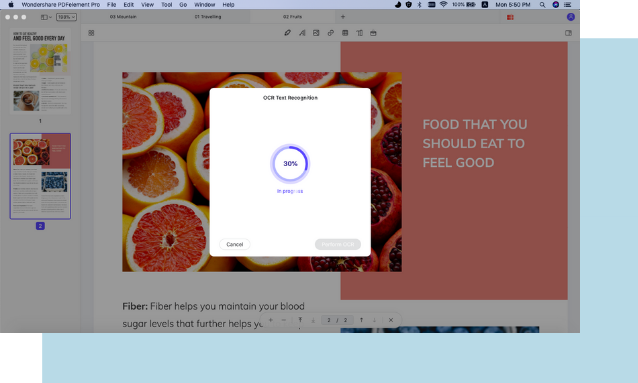 It automatically recognizes and detects scanned text to help you flawlessly edit, search, extract and copy content. Easily edit PDF texts and images. Organise PDF pages. Drawing and eraser, shapes, notes, stamps and highlight. Convert PDFs to Word, PPT, Excel, Pages,RTF , EPUB, HTML, images, etc. Create PDFs from images, Webpages and text ﬁles. Merge multiple PDF ﬁles into a single PDF or split a large PDF into separated ones. Fill out PDF forms with advanced form field automation. Apply unique labels to PDF pages for easy organization and indexing. Redact PDFs to remove sensitive texts, pages and images from PDF documents. Perform OCR to make scanned files editable. Batch OCR is also available. Perform multiple PDF conversion, OCR, data extraction and more operations in batch process. Archive PDF ﬁles for long-term. 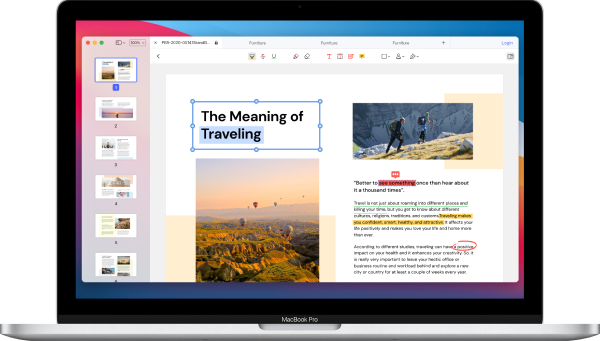 "The app makes PDF editing and creation as easy as using an app like Microsoft Word"
"That means working with PDFs as though they were Word documents, with every element made fully editable." "Whether you’re looking to edit PDF files or digitise your business, PDFelement 6 is the best tool for the job." Your satisfaction is our top priority. We provide you really fast service.